For years, researchers have been studying the worldview of millennials and how it differs from the generations before them. More recently, however, a new generation that is just entering their college years is stepping into the spotlight and gaining attention—Generation Z. Who are they? The simple answer is that they are the 60-70 million people born between 1999-2015 (ages 2-18), making them the second largest generation in America. The more complicated answer, however, encompasses the identity of the most ethnically diverse generation alive today. What is shaping them? What is their worldview? How can we lead them? Based on research conducted by the Barna Group in partnership with the Impact 360 Institute, Jonathan Morrow answers these questions at an FRC Speaker’s Series event yesterday in Washington, D.C.
As Gen Z is growing up, it is vital to know and understand what is shaping them and if they will carry on the cultural and moral trends that defined Millennials. David Kinnaman, president of Barna Group, asks a very significant question, “Is it possible that many churches are preparing young Christians to face a world that no longer exists?” This is something we must recognize in order to equip Gen Z for the challenges they are sure to face. The percentage of people with a biblical worldview has been in evident decline with each generation, from the Baby Boomers to Gen Z. According to Morrow, only four percent of Generation Z have a biblical worldview, making them the “post Christian” generation. It is important to evaluate whether we are preparing our young people for the world we wish we lived in or the world that actually exists. 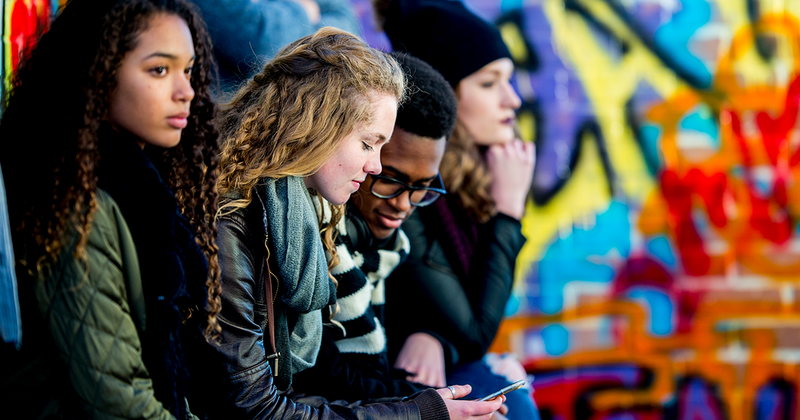 Jonathan Morrow, the Director of Cultural Engagement at the Impact 360 Institute, offers some essential mindset shifts needed for leading Generation Z. This generation does not remember a time without interactive screens, and they exemplify the pros and cons of being “digital natives.” Many in this generation need to learn more about how to form relationships with people and how to engage in face-to-face conversations. Today, many young people feel unequipped to defend their faith because they lack the training and knowledge to do so. Morrow pointed out the importance of allowing them to test what they believe by being challenging in their faith, which will give room for it to grow. Too often, the data of our lives is compartmentalized into different boxes, but one of the best gifts we can give Gen Z is showing them how all these isolated parts work together. Our faith should not start and end when we go to church on Sunday, but instead be integrated into everything we do. One of the positive things about Gen Z is that they have a lot of empathy. Our job is to help them channel that in the direction of virtue. They need to know why they believe what they believe so they can take a stand of faith no matter what they may face. In short, Gen Z needs more connections, more challenge, more training, more integration, and more critical thinking. Understanding Generation Z is critical if we want to serve, lead, influence, and equip this next generation. The majority of these young people are still heavily influenced by parents, friends, teachers, and churches. They are driven by the desire for success in schooling and careers, and one of the best ways to reach them is vocational discipleship. We can be an ally to this “next, next generation” and continue to direct them to a biblical worldview. In the words of Morrow, “Listen and be present.” For more information and to learn more about Generation Z, be sure to view FRC’s Speaker Series event with Jonathan Morrow. Marion Mealor is an intern at Family Research Council.